That's a message I sent to DigitallyDownloaded.net’s editor-in-chief not long after starting up the game. It was late at night, I was home alone, and there was a weather bomb outside making all kinds of ghoulish noises. 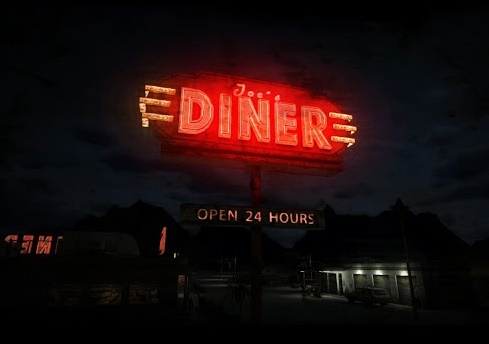 A brief opening had introduced me to the game's eponymous setting, a diner built on a Native American burial ground. I'd been warned that two warring chiefs continued their feud in death, with one causing mischief in the diner to provoke the other into lashing out – and that if I was nearby when that happened, I’d be dead. A whimper of a sound effect, a split-second glimpse of what looked like a badly-photoshopped silhouette of a Native American in cultural dress, and then the words “Game Over” plastered across the screen. A sigh of relief quickly gave way to laughter. That was it? That’s what I’d been scared about? With that first jump scare – if you can call it a scare – out of the way, the tension and apprehension subsided. Knowing that there was nothing left to fear, I set about the tedious task of clearing tables after lazy diner-goers, with occasional breaks to turn off machines and keep the noise down. That’s little story is the full extent of Joe’s Diner. It’s a game that wants to be the next Five Nights at Freddy’s – a jump-scare filled horror game for the Twitch generation. That only works if the game in question has something to scare you with. Beyond that initial apprehension, when you don’t know what to expect and your brain’s conjuring up the worst it can, Joe’s Diner has nothing even remotely scary, so you’re left with a game about cleaning up trash. As you get further in, the game not only isn’t scary, but it takes on an almost Benny Hill-like sense of humour, which I can only assume is completely unintentional. You’re running around like a headless chicken, trying to turn off all the devices in the diner and clean up trash, while avoiding a mess of rubber ducks, chip packets, and mousetraps all over the floor. 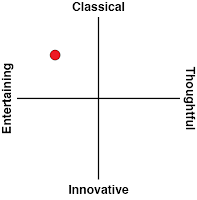 It’s kind of funny, but makes the game even more tonally inconsistent and at odds with itself. It’s a bit of a shame, because there’s a good idea at the heart of Joe’s Diner. So much of the game is driven by sound that you have to have the volume reasonably loud, and you have to listen closely. That makes you vulnerable to the loud, startling noise that accompanies a good jump-scare. 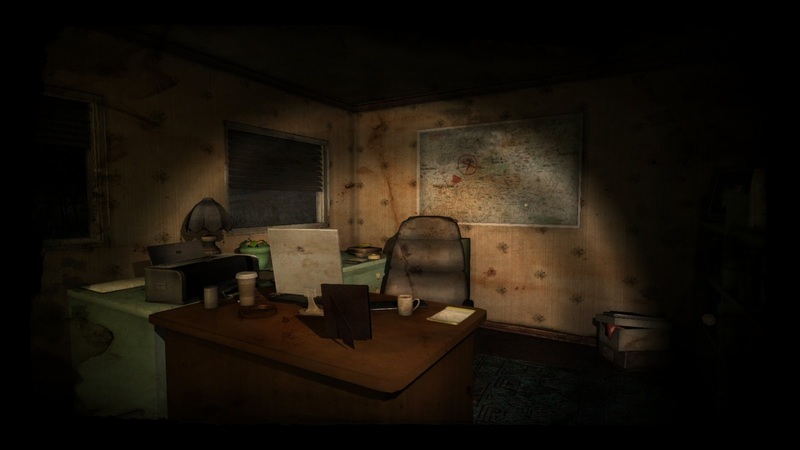 A simple gameplay loop, a creepy setting, and atmospheric lighting – all of which are present here – would build on that to make a terrifying game. But that all hinges on a jump scare that’s scary. 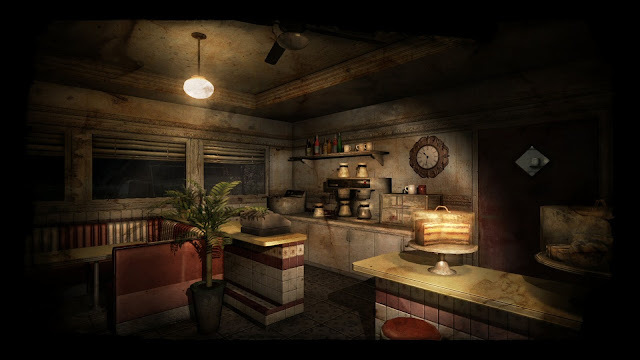 Without that, there’s nothing to carry Joe’s Diner, and it becomes a game about mundane busywork, but without the sense of satire that you see in games like Viscera Cleanup Detail. It’s also frustrating that Joe’s Diner dredges up the overplayed, racist “Native American burial ground” trope for its premise, and then does nothing with it at all. There’s no story of any sort, you don’t find out about the chieftains or their conflict, there’s nothing to confront or even engage with how poorly represented Native Americans are in games. Instead, it’s just another case of indigenous “mysticism” used as a catalyst for cheap horror, except with horror so cheap that it’s not even slightly scary. Like I said, Joe’s Diner could have been a good game. 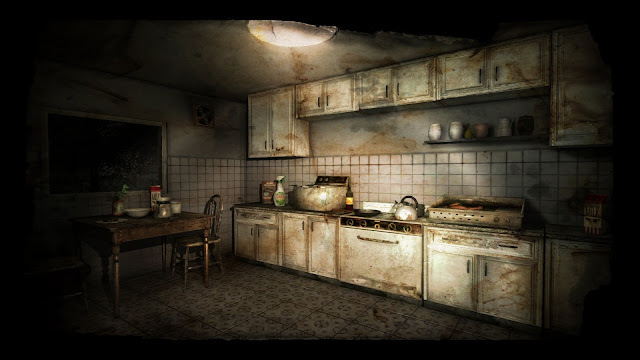 It has a lot of the pieces for a heart-attack inducing horror game, with its eerie setting and mechanics that force you to make your sense vulnerable. If it did something – anything – with its burial ground plot, it could have told a noteworthy story, or at least an interesting one. Instead, all it does is exploit stereotypes to deliver the weakest Twitch scares I’ve ever seen.